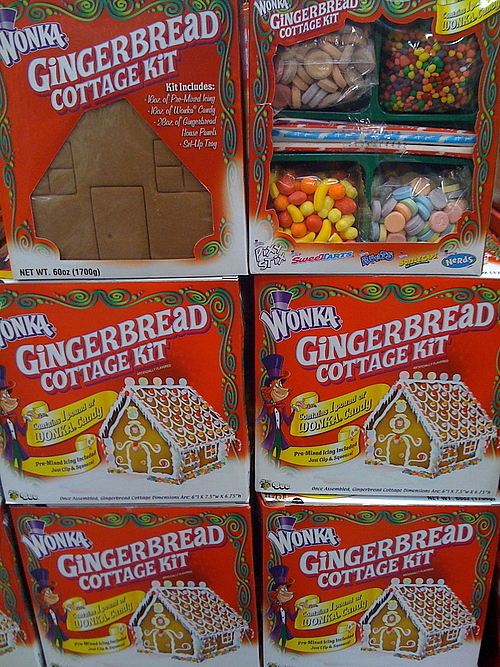 We were at Costco yesterday for our weekly trip and they have started setting out their Christmas and holiday items and we found a whole area of Gingerbread House kits from Wonka. Looks like these kits are pretty user and kid friendly and would be a lot of fun to put one together with your kids or if you are a teacher or teach bible class this would be a fun class project for young kids. 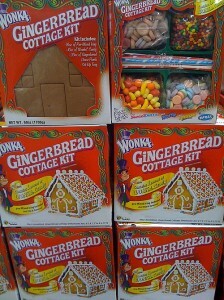 If you are a Costco regular, you know to buy these kits now because they will sell out and you’ll need to wait till next year to find them again and at $9.95 – it is a deal as they come with pretty much all you need. Have Fun!